You will find here all our collections. 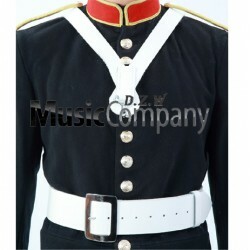 We are manufacturer of musical instruments, pipe band requirements, uniforms and accessories! Product menu list There is 1 product. Choose from great highland bagpipes in deference wood like a African black wood or Ebony wood, Cucos wood, Sheesham wood and Rose wood. These bagpipe are also available in deference amount like a Brass nickle plated on thistle engraved mounts, brass nickle plated plain mounts, White plastic mounts, and silver metal mounts. You are looking for a highland wear items for every day? Take a look at our selection of traditional kilt, piper or drummer plaid, ladies kilt or skort, utility kilts, plaid brooches, piper or drummer waist and cross belts, dress cords, kilt pins, skean dhu and scottish dirk etc..
Browse our different hear wear hats to choose the perfect glengarry hat, balmoral hat, irish caubeen hat, tam o shanter, beret hat, officer caps, heather hackles etc...! You will find the perfect hose top, kilt hose, spats, flashers, Ghillie Brogues etc. Available in this menu Pipe band drums, tupan drums, renaissance drums, bass drum harness, drum slings, drum head and drum stick etc..